I sit here in my home office writing this article as my son watches cartoons and anther son bathes while my daughter does homework. My wife is getting clothes out for tomorrow and doing some laundry. I feel very guilty sitting here writing a blog post while this goes on. I work a full time job, a side contracting job and I run this blog. I do all of this to provide for my family but I am becoming more aware that there has to be a balance between work and family life. This has me thinking…how can I use technology to help me balance my work and family life? There has to be some apps out there that can help along with some practical advice from experts. Let’s dive in and see. This is one of the top items in the advice category. It would seem to be essential when trying to balance your work and family life. I have already done this somewhat, I created a small home office and the kids know that when I’m in here “daddy’s working”. But I’ll admit that sometimes I work out in the living room with my laptop. There are positives and negatives to this. First, at least I’m out there with the family. But of course I’m not really paying attention to anything but my work. So that’s a push. Boundaries also means setting up a specified “work” time each night and not going over that time. So I can tell my kids that daddy is going to work from 6pm-8pm. Then we can play for a little while until bed time. This also gives me a goal since I know what time I’m knocking off. Here is an app that let’s you keep things separate on your device. This is critical. You need to schedule your work time at home so that you can ensure you have enough time to spend with your family. Balancing your work and family life is not easy but you really need to determine what is your priority. My opinion is you need to make sure you have enough time for the spouse and kids then schedule work time after that. Your success as a business person sometimes depends on your organizational skills. Well this can also be applied to your family. Your work and family life depend on you striking a balance between them. Stay organized with this app. I know it seems contrary to everything I’ve said before but you have to schedule time to yourself. I’m not saying 4 hours at a time. But you need to have some time to decompress. Otherwise the stress of work will spill over to your home life. Your work and home life will both benefit if you take time for yourself. This could mean taking 20 minutes to yourself to take a walk or play that cool new game on your phone. Personally, I like to go geocaching. If you don’t know what that is, check out Geocaching.Com for more info on this really fun hobby/sport. This one really should have been the first in the list but I wanted to save it for last. If your priorities are set correctly then you should have a much easier time balancing your work and family life. For me, the priorities are God, Family (Wife then kids), myself, friends, and then work. You see where work lands there? Now don’t get me wrong, many times I will work into the night because of my family and not because of the work. I have a responsibility to provide for them and I take this very seriously. There are many times when I do not want to work but I know that if I get the work done I can invoice the client and get paid and take my family on a vacation…or make that braces payment…or whatever else is pressing at the moment. I don’t have an app suggestion for this one. Just this suggestion, we all have to work (well, most of us), but you need to enjoy every possible moment with your family that you can. You never know when will be the last time you see them. Anyway, I know this deviated from the usual format of this blog but this was on my mind. 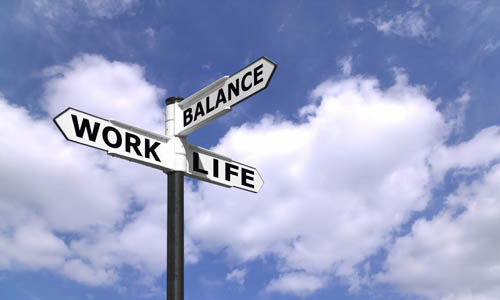 Hopefully these tips will help you balance your work and family life. I’m powering down the computer and going to get the 4 yr old ready for bed.